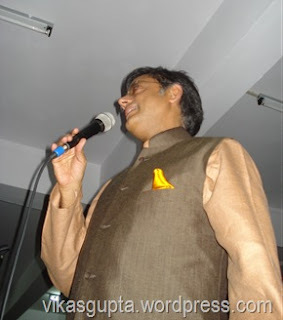 Shashi Tharoor’s hands show him to be a man who enjoys mental pursuits and that qualifies him to be an intellectual. However, I have not been able to see the lines on his palm clearly and cannot confirm this aspect of his personality. The shape of Tharoor’s hands and fingers do give a fair idea as to what kind of a person he is though. his thumb shows excellent executive and managerial ability. This in combination with a strong will shows a person who is efficient and capable. This indication is further strengthened by his head line, good Jupiter Mount, strong finger, and the elasticity and colour of his hands. The first and second knots (as well as his headline) on the fingers add deliberation of thought and analytical ability. 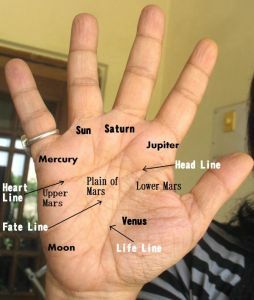 Tharoor's Jupiter finger tells us that he tends to be controlling and arrogant to the extent of being a bully. He can be attention seeking and worse, set in his ways. As his Upper Mars is also very well developed, this gives him an ability to dig in his heels and not give up. He is a tough nut to crack. This is actually an excellent quality, a quality to admire, this quality of mental toughness, and when combined with some of his other traits it can make him a formidable adversary. The disadvantage is that he can become very difficult. However, he is saved from becoming pig-headed and unreasonable by various qualities shown by his supple thumb, flat will phalange, square tips and head line. He can be influenced and persuaded. Common sense and a practical view of things help. His refinement also softens his will. Shrewdness (Mercury) enables him to understand when he needs to give in. Does his hand show that he will make a good politician? He seeks responsibility and is ambitious and manipulative. Power is important to him. He prefers to lead in a job which requires substantial mental effort. But then, he would put in mental effort in any job he does. Sounds good, as many Indian politicians seem to lack in this department. As Shashi Tharoor has leadership qualities and executive ability, it would make him an invaluable cog in the government machinery. If he likes power a little too much, well, we can forgive politicians for that. In any case, he has the ability to keep himself in check. He is not dishonest and that is an important qualification for an Indian politician as well! Money is not his driving force, power is. He certainly desires money, not just because he likes to live well, but because of the power it brings him. His shrewdness gives him the ability to evaluate and manipulate people. All this will hold him in good stead as a politico. The only thing that could prevent Tharoor from being an ideal politician is that the shape of his hand indicates a certain amount of selfishness. He tends to see things from his own narrow perspective all too often. The placement of his fingers show that he is prudent, cautious and careful about the future. He likes formality and has a conservative streak. He is not an open person and will go out of his way to keep certain things he deems private away from the public eye. In India, this is possible as our reporters are more interested in the private lives of actors rather than politicians. The Saturn finger shows his academic bent of mind, and his strong focus in life. He does suffer from a few negative Saturn qualities, although in moderation: cynicism and jealousy. Both his Mercury and Apollo (Sun) tell us of his power of expression. However, he is not exactly an original or creative thinker. This is evident not just from the placement of his fingers but also finger tips and his Mount of Moon. He can be an impulsive spender. This can be seen from a combination of signs, like supple thumb, and the third phalanges of all fingers. They tell us that he enjoys the good things of life a little too much, and also that status symbols are important to him. In fact the third phalange of his Apollo finger is quite out of proportion to the other phalanges. Add to this his willful nature and it explains his desire to live a five star life, which he may or may not be able to afford. Related Reading: If you want to about the character analysis of other Indian politicians you can find them on this blog. There is the Hand Analysis of Sonia Gandhi, and her children, Priyanka Gandhi and Rahul Gandhi. There is the analysis of Gujarat Chief Minister Narendra Modi and Bengal politician Mamta Banerjee. You can also read about the characteristics of LK Advani. If you are interested in global politicians, check the category Politicians, where you will see a mix of names from India as well as the world. yeah, we need guys like him!